Trump’s “America First” motto and his withdrawal from the JCPOA has not only affected targeted states, but has also hit global trade. 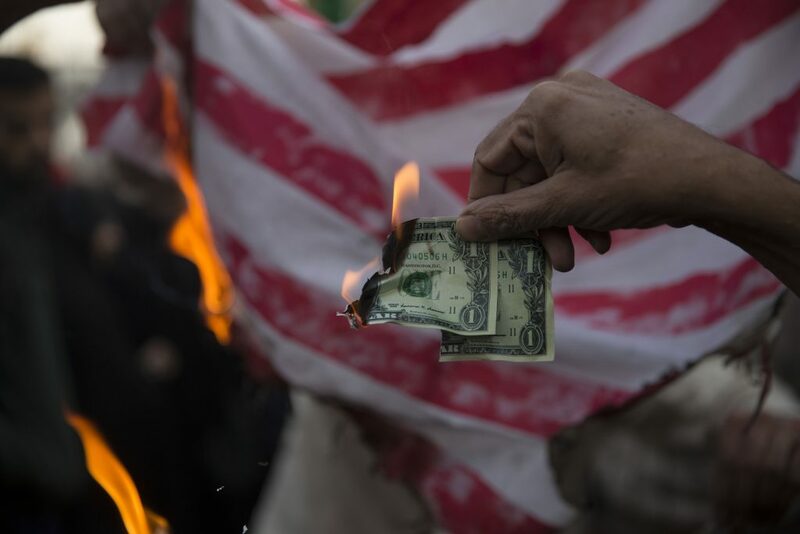 The first round of the two-phase sanctions began to be imposed on August 6, and from that time on, Iran has been unilaterally blocked to have or access the U.S. dollar and precious metals like gold and silver, and so on. The automotive and aviation industries are also being isolated from the international system. The second round targeting Iran’s petroleum, the largest income source of the government revenues, and shipping industries and port operators to diminish the country’s petroleum and petrochemical products exports to zero began to be re-imposed on November 5. On the same day Washington granted temporary waivers to 8 states – China, India, South Korea, Japan, Taiwan, Italy, Greece and Turkey. The U.S. administration claims that it is trying to cut off Iranian oil exports since the Tehran regime uses the revenues obtained from the petroleum industry to fund terrorist organizations and conduct terrorism in different parts of the world. Leading by the remaining P5+1 countries, China, France, Russia, the United Kingdom and Germany, the EU and Turkey have expressed their opposition to Trump’s decision many times and intend to maintain their trade relations with Iran. Especially the position of China and India is crucial for Iran as these two countries are its largest crude oil importers. They all have searched for new types of payment systems to avoid U.S. interruption while doing business with Iran. The EU has begun to implement “blocking statute” to enable EU companies to continue their commercial relations with Iran and compensate the damages that may arise from the sanctions. Later on, the EU, China and Russia also agreed on founding a special purpose vehicle that could channel new payment mechanisms alternative to using U.S. dollars. The two biggest buyers of Iranian crude, China and India, reached a deal with the Tehran regime on using their national currencies. Turkey has been evaluating whether to use Turkish Lira and/or establishing a barter system that could facilitate exporting its goods and services to Iran in response to its crude oil imports. Following the Trump administration’s sanctions on Iran, growing economies that are highly dependent on imported energy resources are in need of tight cooperation more than ever.